After doing a series on gifts for the grammar geek, word lover, book reader, and writer, I was thrilled to get a few writer-themed gifts myself on Christmas Day. Check these out! My new laptop stand. I’ve talked about how important it is to be nice to your back and shoulders while writing on a computer. However, it’s impossible to get both your keyboard and your screen at the right level while using a laptop. Thanks to my hubby, I can now use this laptop stand at home along with a bluetooth keyboard and keep my muscles happy. I think he was a little motivated by the idea of me not begging for a shoulder massage all the time. 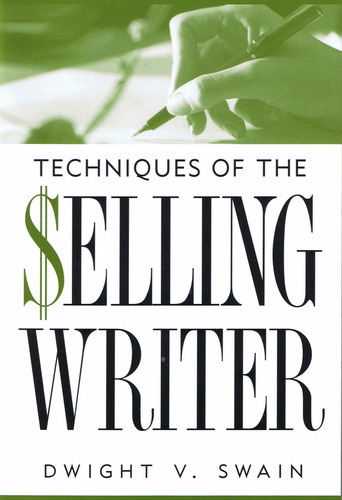 Techniques of the Selling Writer by Dwight Swain. I’ve heard this writing craft book mentioned several times, so it’s been on my short list. I happily received a copy from my mother, and I’ll probably read in it round two of ROW80. Book charms. These were featured in my Gifts for the Book Reader post and were one of the items I drooled over when I found them online. My husband ordered the Jane Eyre charm for me, and my sons got me Hunger Games. I love both of these books–obviously for different reasons. You’d better believe I’ll be wearing them when I attend my next writers’ conference. Scrivener for Dummies by Gwen Hernandez. 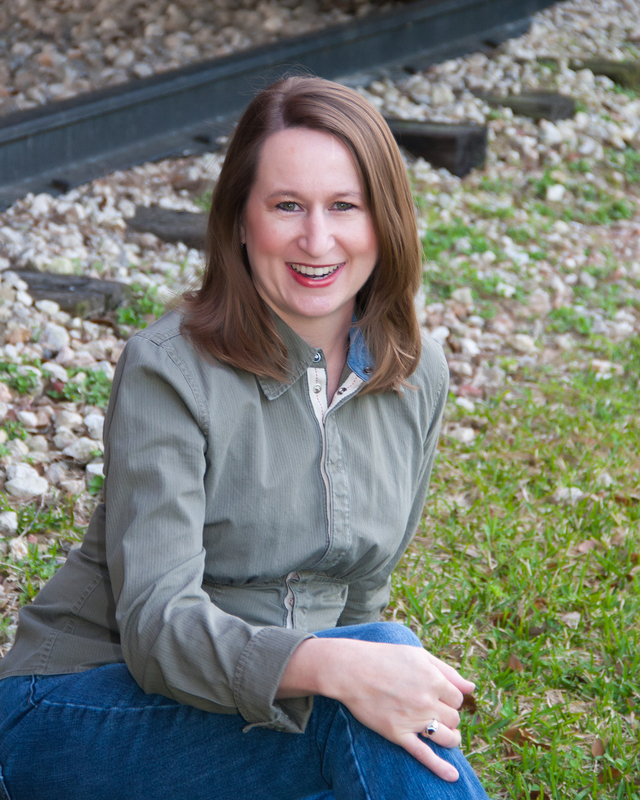 I took the Scrivener online course with Gwen, and it was excellent. I’m using more features of the Scrivener software now, and it’s helping me to plot, organize, and turn out good writing. However, I wanted the reference book as well, and my family came to the rescue! Scrivener for Dummies now sits on my shelf, ready for me to look up how to do this, that, and whatever. Orange Karen Anthology. Obviously, this is NOT a gift to me. Rather, it is an anthology being put together to benefit fellow writer Karen DeLabar, who suffered through toxic shock syndrome this past summer. You can read her amazing story HERE. However, I was delighted to receive the news a few days before Christmas that my short story had been chosen for inclusion in the anthology. The proceeds from this project will go toward Karen’s mounting medical bills. It’s a pleasure to be able to support Karen with my words, as well as my thoughts and prayers. The anthology is due for release in April 2013. 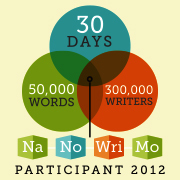 And the continuing gift of A Round of Words in 80 Days–the writing challenge that knows you have a life. Here is the crux of the challenge: You have 80 days to achieve whatever goals you set for yourself; you post biweekly (or weekly) updates; and fellow writers keep you accountable and cheer you on. Easy peasy, right? Complete full rewrite of SHARING HUNTER. Work with editors on short story for Orange Karen Anthology. Revisit GRACE & FIRE (1st novel) and run through one more round of edits. Write one full short story. Write blog posts for Sundays (including ROW80 updates) and Wednesdays. Start plotting sequel to GRACE & FIRE (working title: HOPE & ASHES). Read and work through Empowering Character Emotions by Margie Lawson (lecture packet). Read and work through The Art of War for Writers by James Scott Bell. Read at least eight fiction books. Take a true Sabbath–no working and time with God and family one day a week. So what were some of your favorite Christmas gifts? What are your goals for ROW80? Be sure to check out the challenge HERE, and you can sign up or see who’s participating HERE. The fall season has premiered on television! I have several shows I watch–mainly when I take a lunch break at my computer and want something to do while shoving food into my mouth, but also because I enjoy them and they teach me about story. Today, I’d like to write a few brief letters to let the TV shows that I track know what I think of them after the kick-off of the new season. Dear Bones: Thank you for showing that just because the couple finally gets together, the tension doesn’t have to end. In fact, thank you for not breaking them up, which seems to be the go-to plotline for plenty of other shows that didn’t know what to do once the two main characters finally revealed their feelings for one another. As we know out here in “real life,” relationships have sufficient tension and conflict as well, and these characters have extra tension given who they are and the way they work together. Keep finding ways to draw our interest in, and remember that, while I enjoy the romantic aspects of the show, I mainly watch to figure out how the case is solved. This is, after all, essentially a mystery show. Dear Big Bang Theory: I don’t know why I’m still watching. It seems the romantic relationships have overshadowed some of the funnier plotlines that revolved around the scientists’ workplace and friendships. Yes, these characters are interesting and funny, but I want them to actually do something. I’m waiting . . .
Dear Castle: Nathan Fillion as Richard Castle still gives James Bond a run for his money in the category of Suave. Keep bringing in the ensemble too–as this show has some of the best with detectives Ryan and Esposito, medical examiner Laney, daughter Alexis, and the coolest mother ever with Martha. That is all. Dear Grimm: I vacillate with your show: Sometimes I’m eager to watch, and then I’ll go for a while without and have to catch up. Why is that? I want more, more, more from Nick. He needs to shift into being proactive with this Grimm thing, instead of just reacting every week to what’s thrown at him. If it wasn’t for Monroe, I’d probably be gone already. Dear Hart of Dixie: I wouldn’t want to pick between those two men either. Can Zoe Hart have both? That’s kind of the plot of my young adult novel, so I can give you tips if you want. On a completely different note, I’m eager to see another side to Lemon Breeland. I hope you do more than just tease with that possibility. Dear How I Met Your Mother: You have about 2-3 episodes to resurrect my interest in your show. Glimpses of a yellow umbrella and the yo-yo relationship of Barney and Robin ain’t gonna do it. I am looking for growth in the main characters. Isn’t that the point? To see how the challenges of life push these characters to grow, all the way until Ted finds his one, true love? So far, I have only seen real growth in Marshall and Lily–who moved into a committed marriage, wrestled with career and family choices, dealt with the death and reintroduction of their fathers, and are now entering the new phase of parenthood. Meanwhile, Ted is still groping in the dark for his dream date; Barney’s interactions with stripper Quinn demonstrated how shallow and self-serving he still is; and Robin is ambitious in career and clueless in love. So fix it. This season. Or I’m gone. Dear Raising Hope: You are the funniest sitcom on TV today. Martha Plimpton should have won the Emmy. And Cloris Leachman should get an Emmy, a raise, and a host spot on SNL. Move over, Betty White; Cloris is a queen of comedy! Thanks for the laughs. That’s it. I don’t watch all of these shows when they air. I catch up here and there when I can. Because, of course, my priorities are my family and my goals. Let’s see how I did with my ROW80 goals this week. If my week was a TV show, would anyone watch? Editing: SHARING HUNTER MILLS, young adult contemporary novel. Complete full rewrite. Rewrote two chapters last week, so I’m progressing here. Post Sunday ROW80 updates, Amaze-ing Words Wednesdays, and Deep-Fried Fridays. Done. Send interview questions to two guests I have lined up for my blog. Done. Write two short stories. I did not work on this one. I’d like to move this goal up in priority, at least getting in 1k a week. Read one writing craft book. Still deciding which one to read. Attend workshop with Margie Lawson in Houston on October 13. Looking forward to this workshop on Saturday! Work through lessons of Scrivener online course a second time. Loved Gwen Hernandez’s course on Scrivener software. Finished it last week, so I’ll start combing back through this week. Nothing special here. Just read. A lot. Currently reading No Apology by Mitt Romney. I read Dreams from My Father by Barack Obama in 2008. I like reading the presidential candidates’ books to see where they’re coming from. Exercise twice a week. Done! Walked four times this week, including the Race for the Cure on Saturday. Sort through photos and complete at least one album. (I stopped scrapbooking five years ago, and it’s piled up into a big mess. Moving into digital albums.) Organized some photos on my computer, so I’ll give this one a thumbs-up. Now how was your week? What would you like to say to your TV shows based on the new season’s premieres? Do you have any writing craft book recommendations for me? While the official launch of A Round of Words in 80 Days is tomorrow, I am a creature of habit who has gotten used to posting on Sundays. Thus, I am declaring my Round 4 goals today. This time, I am categorizing my goals to make them easier to track. For each category, I looked for a little inspiration among my resources. Post Sunday ROW80 updates, Amaze-ing Words Wednesdays, and Deep-Fried Fridays. Read one writing craft book. Suggestions welcome. Attend workshop with Margie Lawson in Houston on October 13. Work through lessons of Scrivener online course a second time. Nothing special here. Just read. A lot. Exercise twice a week. If I don’t take care of myself, my body will become a mess. Sort through photos and complete at least one album. I stopped scrapbooking five years ago, and it’s piled up into a big mess. Moving into digital albums. So what are you using to inspire yourself with your writing goals? Have you joined the ROW80 Round 4? Do you have any writing craft book recommendations for me? It’s not too late to join the “writing challenge that knows you have a life”–where you set your own goals and post progress updates accordingly. 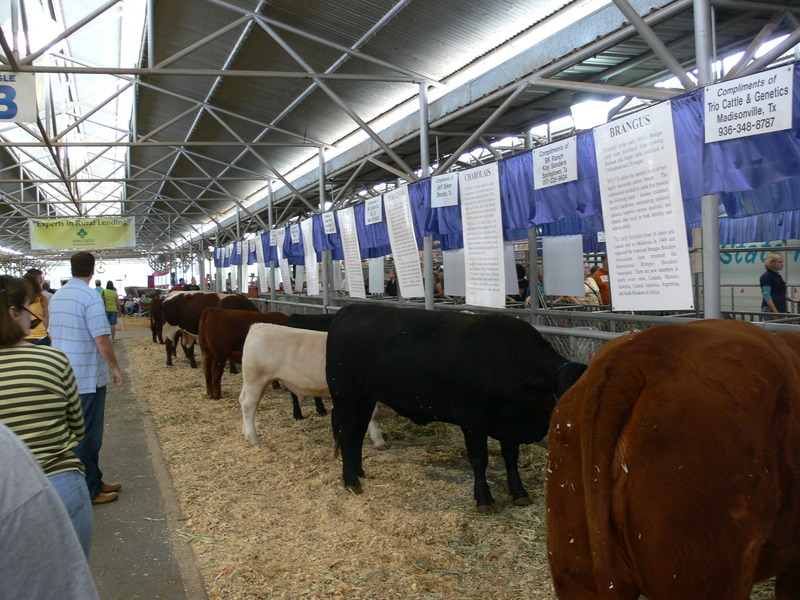 If you’re interested, check out ROW80 HERE. 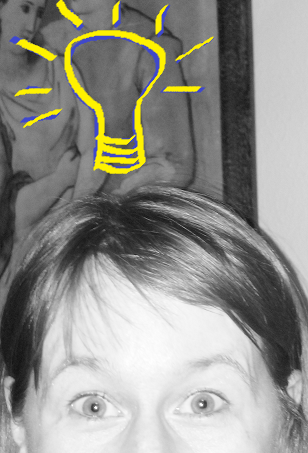 Last week, I posted about Epiphanies While Editing. Little did I know that the biggest epiphany was yet to come. First, let me say that I adore the two agents who responded to my query and partial submissions with specific comments. They were right to reject my YA novel and gave helpful feedback. Which I then started mulling over and over and over. At the same time, I was working through revisions of my novel using Margie Lawson’s Deep EDITS system and noted some issues as I went along. I started mulling those over and over and over. I need to rewrite this whole thing in a different POV! Now this is no small realization because I have more than one POV, and I’m switching viewpoints. As such, I will be deleting some scenes, merging a couple of characters, rewriting scenes to work crucial information into the plot through other characters and means, etc. I was immediately certain this could solve some problems and make the novel way better, but I confess to feeling less than ecstatic about this particular epiphany. Instead, I jumped on Facebook and whined a little. In response, I received an outpouring of sympathy, encouragement, and enthusiasm from fellow writers. I encourage every writer to find a group of fellow writers, whether face-to-face or online, who can give perspective and support when you need it. In turn, be that kind of person to others. This is one of the big benefits of ROW80 as well–the community that it builds. Cheer on the ROW80 participants. I am so sorry! I did not get to this one, and there is no good reason why. Revise SHARING HUNTER MILLS, my young adult contemporary novel, using Margie Lawson’s Deep EDITS program. Yeah, well. I did this. Then I stopped. Because hey, I’m rewriting it now! Read at least 50 pages of current craft book. Nope. 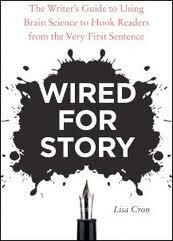 Read one more chapter of Wired for Story. I want to keep fresh with writing, so I plan to work on writing a short story. I did work on the story some, but not as much as I had hoped. Write and present interview questions for three guests who will be stopping by my blog this fall. I wrote interview questions for two guests, and I still owe the third her set. I’m excited to have a few friends join me for my High School Halls blog series. We have only a few days left of this round! How is everyone doing with ROW80, your writing goals, or life in general? If you want to cheer on my fellow ROWers, click HERE.